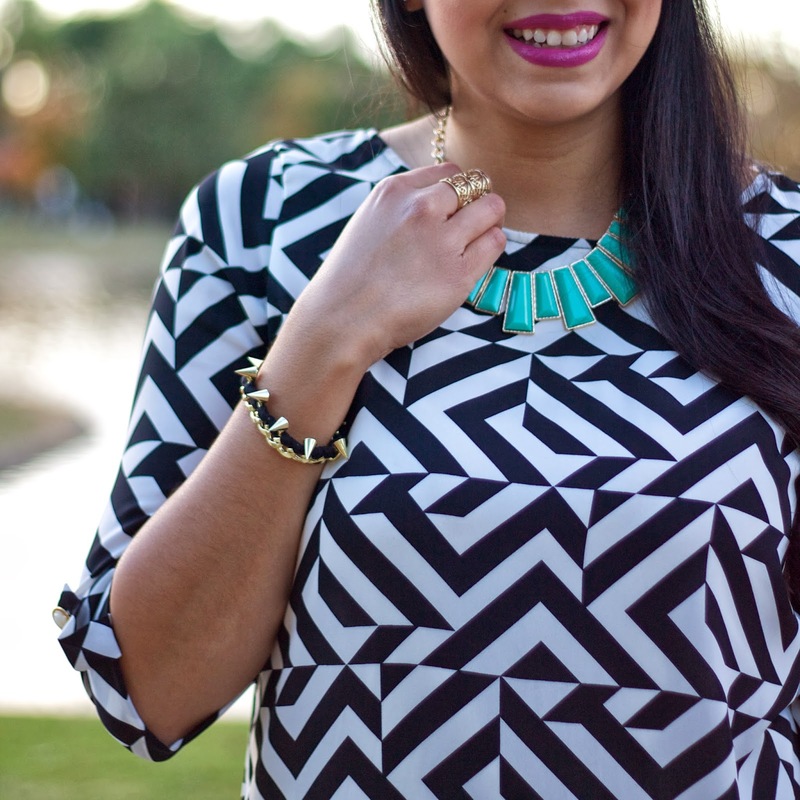 One of my go-to combos when wearing black and white is adding a statement necklace in a bold color, so it was no surprise when I paired this dress that I picked up at our SD Style Bloggers Glam Party at Emma Jane with this turquoise necklace for Thanksgiving dinner and instantly loved it! Add also that I find geometric printed anything really intriguing- it always makes me look twice because of the intricate print or optical illusion- in fact, I just picked up some pants in a similar pattern during a black Friday sale, so stay tuned for that! Happy Friday!! About the Outfit: Emma Jane Dress (similar), Forever 21 necklace, Charlotte Russe shoes (similar), Marshalls opaque tights (similar), Tanya Kara bracelet and ring. Pics by Tuy from WhiteTeeBlackDress. I love it! That print is so cute. I love how you styled it with the jet black tights and colorful necklace, one my favorite outfits so far. Great outfit. This is definitely something I would wear. You have a new follower here. Fun printed dress, there are so many options for it but love it here with mint, cute touch! ps. 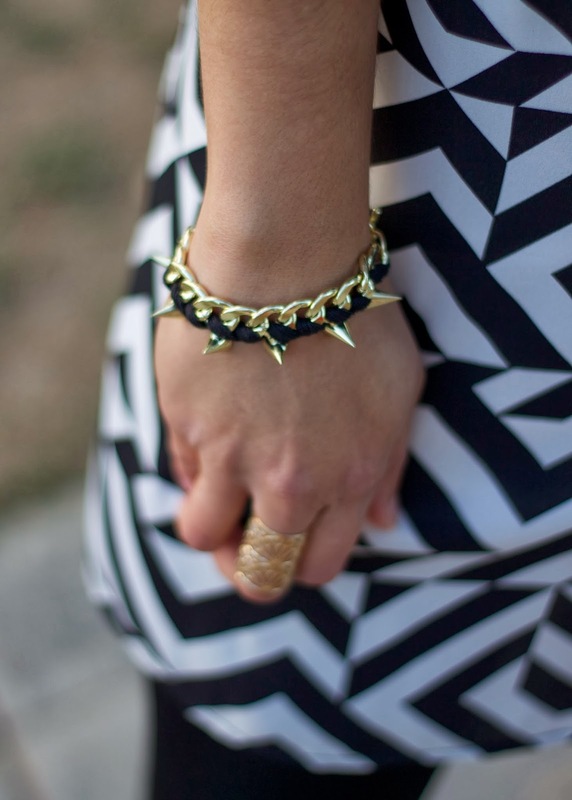 need that bracelet in my life! ... hand!